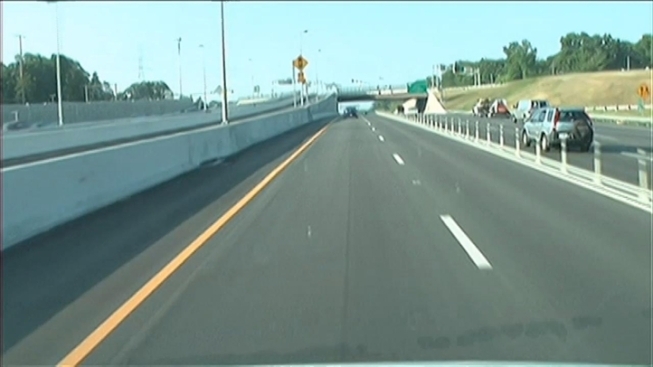 You can now drive a little faster on the Interstate 495 express lanes in northern Virginia. The speed limit was increased Monday from 55 mph to 65 mph. The increase applies only to drivers in the express lanes. Tolls for the lanes are based on traffic, which is monitored by cameras and sensors on the side of the road. The sensors detect the levels of traffic and adjust the tolls to keep traffic moving. The lanes, which first opened in November, run in the middle of the Capital Beltway on the Virginia side. Driving southbound, the Express Lanes begin about one mile after the George Washington Parkway/Georgetown Pike exit. They end at the I-95/I-495 merge, near Springfield. 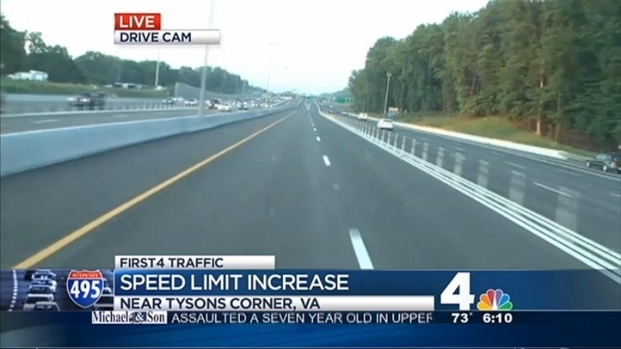 You can now drive a little faster on the 495 Express Lanes in Northern Virginia. The speed limit was increased Monday from from 55 to 65 miles per hour.